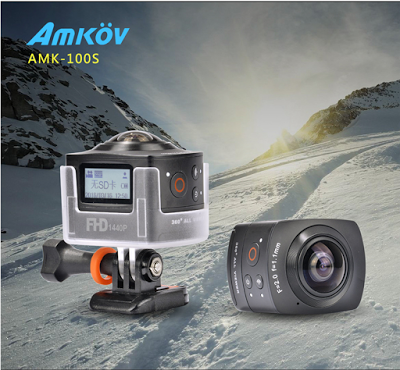 AMK100S is a low-cost hemispherical 360-degree camera from Amkov with high resolution video. 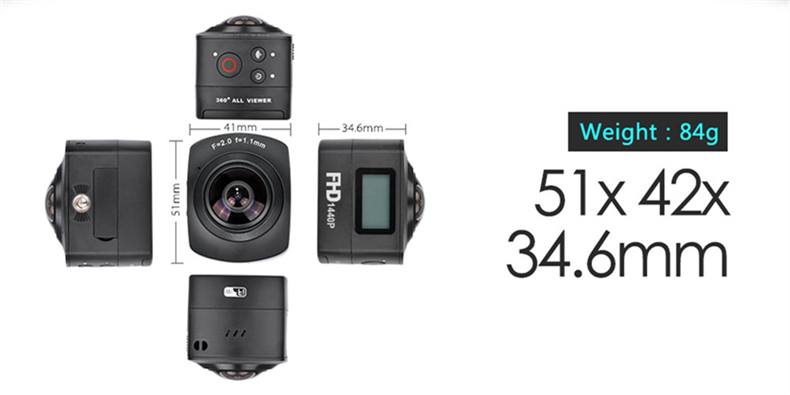 It is marketed as a sports camera and comes with a waterproof enclosure that works up to 30m. Amkov also notes the small size and suggests usage as a drone camera. – 360 x 220 degrees. – video resolution: 1920 x 1440 at 30 fps, 1440 x 1080 at 30 fps. – detachable battery (which means you can carry a spare). Although the video resolution is nominally 2.7k, it is not clear what that resolution represents. 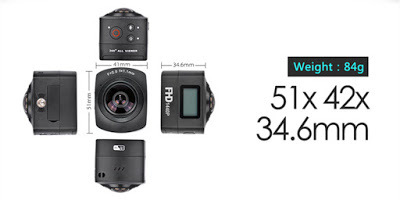 Normally, 360 degree cameras have a resolution that is 2:1 (for equirectangular view) or 1:1 (for a circular fisheye view). The video resolutions specified are instead a 4:3 ratio, which I think may mean that the usable resolution is lower. Unfortunately, there are no samples yet on their site. 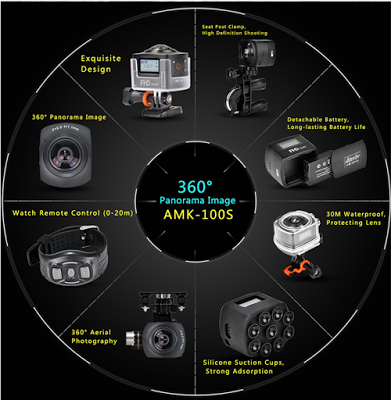 One of the unique features of the camera is that it has a dedicated remote accessory that looks like a watch. Official website here. An English manual is available here. It is available for preorder here. Thanks to Mike Cane (of Atomic Supermen) for bringing this camera to my attention! UPDATE: It appears that a rebranded version is being sold on Amazon, but at a much higher price.